Turn Boo Berry into Monster Cereal Milk Popsicles! For many folks, drinking the leftover milk is one of the most enjoyable parts of enjoying a big bowl of Monster Cereal. These Monster Cereal Milk Popsicles recreate that same taste, in an ice-cold dessert. Play “Mad Scientist” and make Monster Cereal Milk Popsicles! My horror-themed cooking show will be premiering very soon, but I wanted to share a quick and easy recipe for Halloween – Monster Cereal Milk Popsicles using your Boo Berry, Count Chocula, and Frankenberry! Be sure to subscribe on my YouTube channel, so you get updates on when the show premieres! Place Monster Cereal and milk into a covered container, and place in the refrigerator overnight, or until the cereal has softened. Strain out the cereal pieces from the milk, or, blend it together to make MONSTER CEREAL SLUDGE and place into molds. Use additional cereal and marshmallow pieces, if desired. 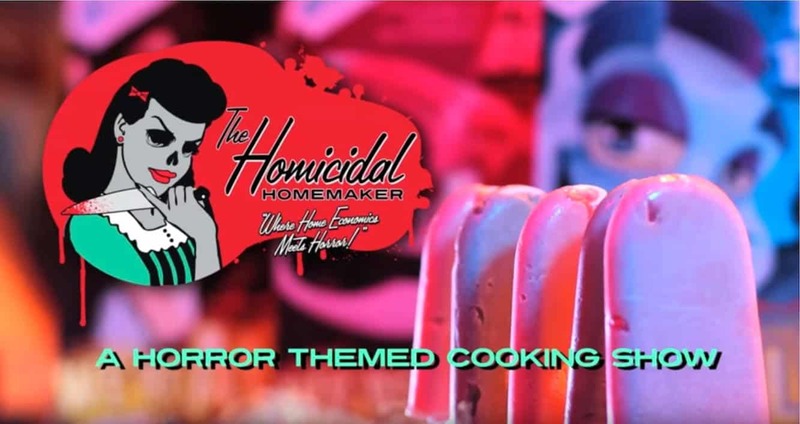 Next articleLearn How to Make Edible Entrails on my NEW Horror Cooking Show!